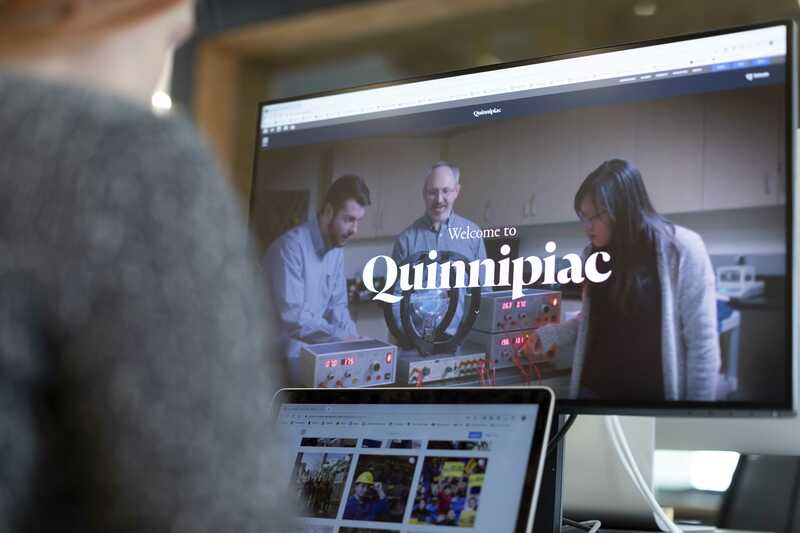 The vision and intention behind Quinnipiac University’s strict brand identity was the result of a collaboration between the university and independently-owned design studio, Pentagram. The controversial logo, which drew community attention in 2016 after a petition was formed in opposition of the lowercase ‘u’ in university, took months and a well-established design team to construct. 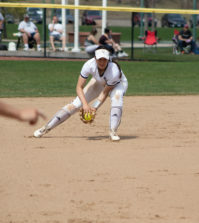 In 2015, Quinnipiac University launched what was formerly called the Office of Brand Strategy and Integrated Communications–now the Office of Integrated Marketing Communications. As it grew, Quinnipiac noticed the need to construct a department focused on one universal strategy. Since then, Quinnipiac has restructured and streamlined its marketing strategy across the entire university. Ryan wrote that since the university has experienced “incredible growth over the last couple of decades,” the brand had to grow alongside it. But, the Quinnipiac brand isn’t just a logo, according to Ryan. With Pentagram, the university established ‘brand identity guidelines’ used as a resource and point of reference that outlines proper usage of brand assets, such as logo, colors, fonts, etc., to drive consistency across any and all executions, according to Ryan. This includes research, planning and implementing marketing strategies, as well as managing the university’s website, all social media platforms, creative services, video production, photography and editorial services. 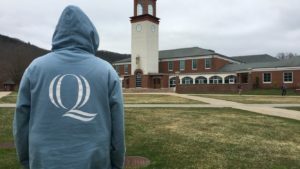 In 2016, The Chronicle reported that then senior, Brett Segelman created the petition “Revise the New Quinnipiac University Logo” after backlash stemming from the lowercase ‘u’ design in University. Since then, it appears that the school has dropped university in its logo entirely, as seen on the website, QU.edu. 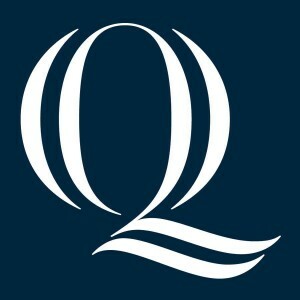 The “Q” is prominent in Quinnipiac’s new brand identity. In collaboration with the university, Pentagram’s team and partner Eddie Opara developed a ‘brand identity system’ which functions as a consistent university-wide brand. “We hire outside partners to work with us to create content that either requires expertise that is outside of our core skillset or sometimes if we simply do not have the capacity to complete a given project,” Ryan stated. Kenneth Deegan, associate partner and designer at Pentagram was a part of the team that worked on the brand from start to finish. 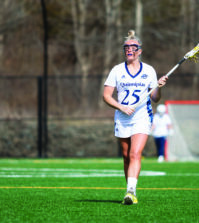 “My role was pretty hands-on throughout the entire experience and even after that we got to work a little bit further with Quinnipiac for John Lahey’s retirement book [The Lahey Years],” Deegan said. “These projects tend to be anywhere between six months, up to a year,” Deegan said. They worked on print production material, signage, graphics and towards the end of the project they worked on the design of the public safety vehicles. The Pentagram team visited Quinnipiac’s campuses a number of times throughout the process, according to Deegan. It was a constant back and forth between the two locations. Their process started off by speaking with students, staff and touring the campuses. Keeping schools like, Yale, Harvard, MIT as well as University of Chicago and Stanford in mind while designing the logo, Pentagram knew it needed a design that would stand out. They choose a lower-case logo because they felt it would be more approachable. Quinnipiac wanted a brand that could compete side-by-side with big-name schools, like Yale. They were looking for a clean design that would stand out. 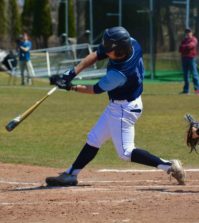 “We became aware of how competitive our universities were finding it in the U.S. to stay ahead of the curve, to gain a regional, national and also an international presence,” Deegan said. They designed custom lettering as a way for the university to be distinctive and recognizable. When asked how much a project of this scale costs, Deegan said it varies on the client and did not give an estimate as to how much Quinnipiac spent. The previous logo was in all-caps. During their initial research, Pentagram looked at universities across the country and specifically in the northeast and noticed that many had a repetitive theme. The original logo came at a time when Quinnipiac sought to fit in with other universities when now the idea was to stand out, according to Deegan. Pentagram has had numerous educational clients, working with City University of New York, Columbia Business School and Yale.